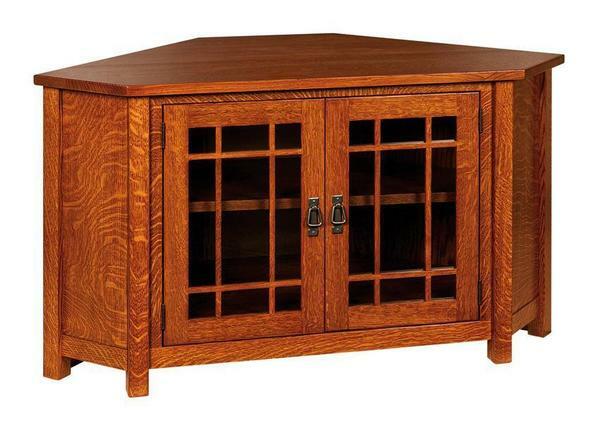 This beautiful Amish TV Unit will look wonderful in any room in your house. Specifically designed to fit in a corner. this will work even in small rooms! It features adjustable shelves so you can store your DVD's, CD's, or other items. With a 1" thick top, it can support the even the heaviest TV! With beautiful glass doors, you can easily see what your looking for with a quick glance without having to open the doors!